Welcome to Fairbanks Ridge. We have an optimized screen reader version of this site available. 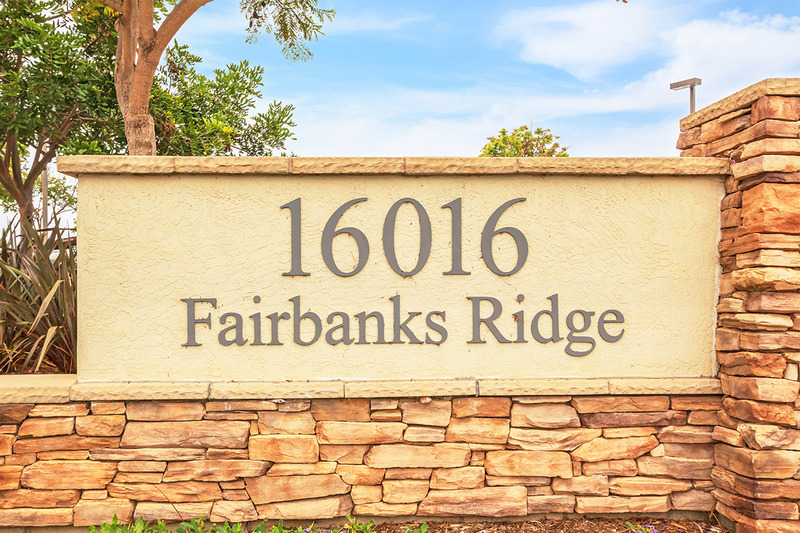 Fairbanks Ridge Apartments is conveniently located in San Diego, California and just minutes away from the best dining, shopping, entertainment and schools. At Fairbanks Ridge Apartments, we offer one, two and three bedroom floor plans with fully equipped kitchens including a dishwasher, pantry and refrigerator, plush carpeting, extra storage, vertical blinds, and central air and heating. Imagine coming home to Fairbanks Ridge Apartments and enjoying a dip in our shimmering pools surrounded with beautiful landscaping, a picnic area with barbecue, a clubhouse and covered parking. Call us today to schedule your personal tour and see all the options that await you!